Sean Maginity is the guest in the season 2 finale of “The Grand Cast”. Part 1 of 2. Part 2 is here. Sean Maginity joins the The Grand Cast in the season 2 finale. Part 2 of 2. Season 2 Episode 8 part 2 Sean Francis wsg ??? Sean Francis joins the The Grand Cast in this week’s episode. Part 2 of 2. wsg ??? Zach Scherphorn is the guest in this week’s episode of “The Grand Cast”. 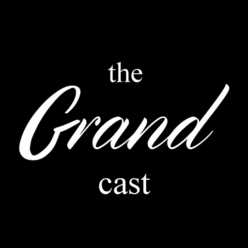 Brandon Holstine is the guest in this week’s episode of “The Grand Cast”. Part 1 of 2. Part 2 is here.